2 farms, originally uploaded by jahansell. 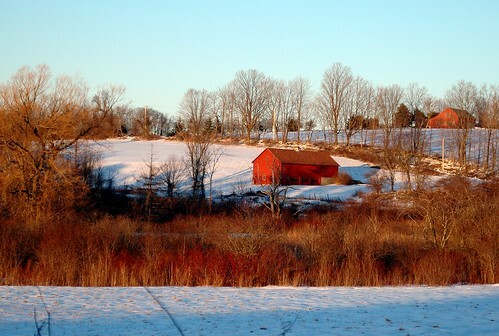 In the warm sunlight of late afternoon, these red barns on Sharon Mountain just glowed! such a nice shot, pleasing colours.